Options and accessories offered with our radar speed signs include a remote management system, an external device trigger option, mounting hardware options, a variety of pole and base options, and much more. 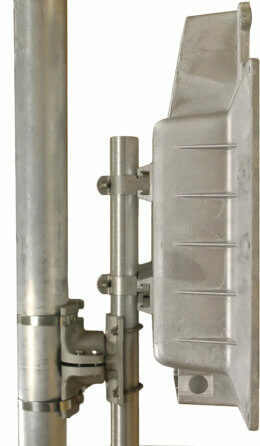 Multiple mounting options are available depending on the type of pole the radar speed sign is to be mounted on. The concrete form kit, customized for Pelco pole bases, makes base and pole installation easy. The kit includes a prefabricated concrete pole base form, four anchor bolts, a rebar base cap and rebar. Secure, cellular-based tool for remote management of your Radarsign systems. 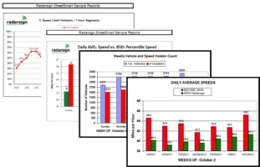 Radarsign offers three sizes of faceplates and three display sizes. All Radarsign bases are safety compliant breakaway bases and are FHWA compliant. Used on same pole as radar speed sign, the regulatory speed limit sign improves the effectiveness of the sign in slowing speeders. Triggers external devices from the radar speed sign based on speed and/or time, or temperature; or allows the external device to trigger the radar speed sign. A 4.5” diameter aluminum pole and 4″ diameter black fluted decorative pole are available. The sign extender bracket set extends the regulatory speed limit sign 6″ from pole so it is flush with the “YOUR SPEED” sign.